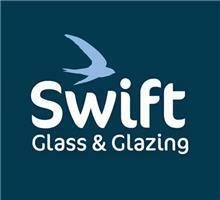 Swift Glass And Glazing - Glass, Windows/Doors/Conservatories based in Ivy Road, Hampshire. Invoice history based on 379 reviews. Swift glass and Glazing will be able to help you in all aspects of glass and glazing, offering free quotes and specialising in the replacing of misted double glazed units, leaded lights and repairs to all types of windows. Sureflap recommended fitters for cat and dog flaps fitting these into glass, double glazed units, conservatories, windows and doors. We carry a wide range of UPVC spare parts to change handles, worn hinges, locks and mechanisms on all types of UPVC windows, we can also change worn or discoloured gasket. We also offer a comprehensive Mirror and Coloured splash back fitting service. All GU postcode areas served. And surrounding Towns and Villages.